I had a massive waffle craving the other day so headed to Waffle On to grab one of their delicious waffles. 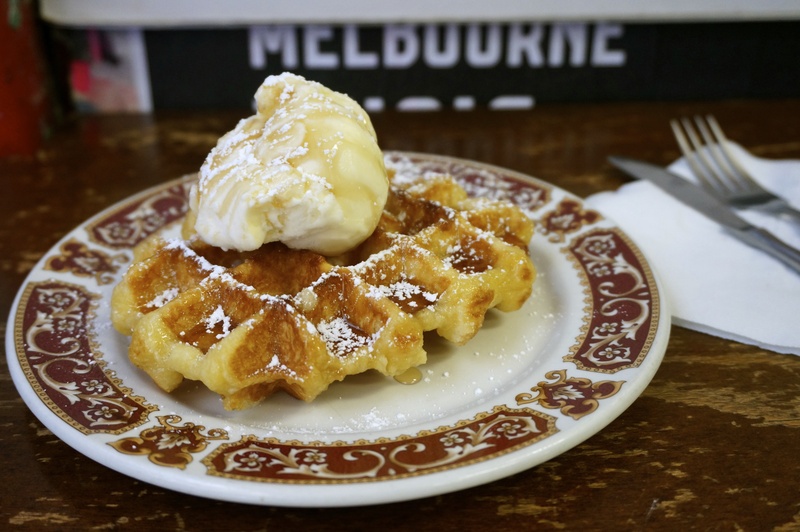 The light crispy Canadienne waffle was served with cold vanilla ice cream, maple syrup and icing sugar. Service was quick but seating very limited (there are only two). We also noticed that the baguettes were very popular here. Something for me to try next time. Oh this looks so good. What meal is this served for or is it just a snack?